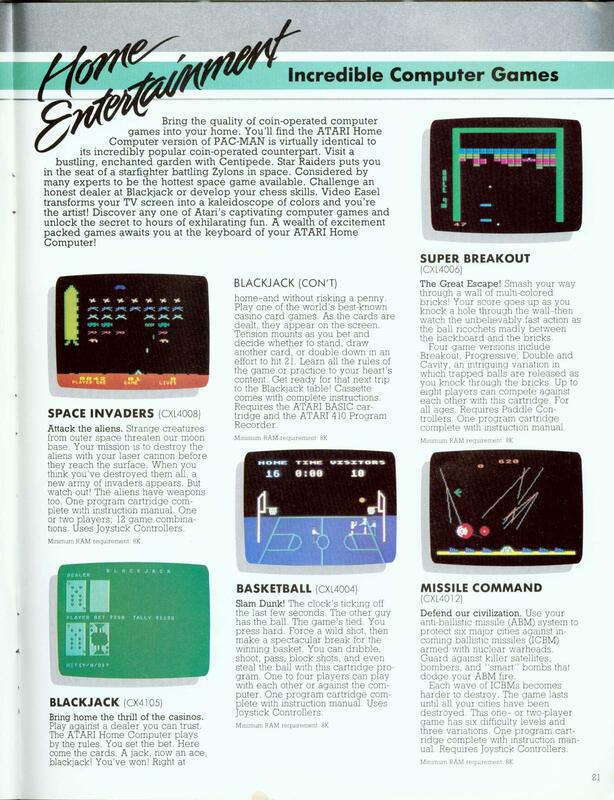 absolutely excellent conversion; I played the arcade while hanging out with my pals in mid-80's Poland and played the same at home on my Atari - pure bliss! In both of the screenshots, the energizers and "1UP" caption are both blinked off. Classic arcade game, an excellent home conversion. Yes, some compromises had to be made, but it's still a good effort. I was miffed that a clone version made for the C-64 (don't remember the name or company) actually looked even closer to the arcade version. IIRC, the maze was in the correct aspect ratio (e.g., tall rather than wide to fill the TV screen), and the monsters looked like the real thing, with eyes that moved. 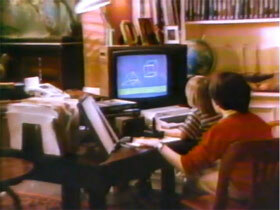 Anyway, it was this game that made me want an Atari computer back in 1982 (rather than a 2600) because I wanted the higher quality home conversions such as this and Missile Command. 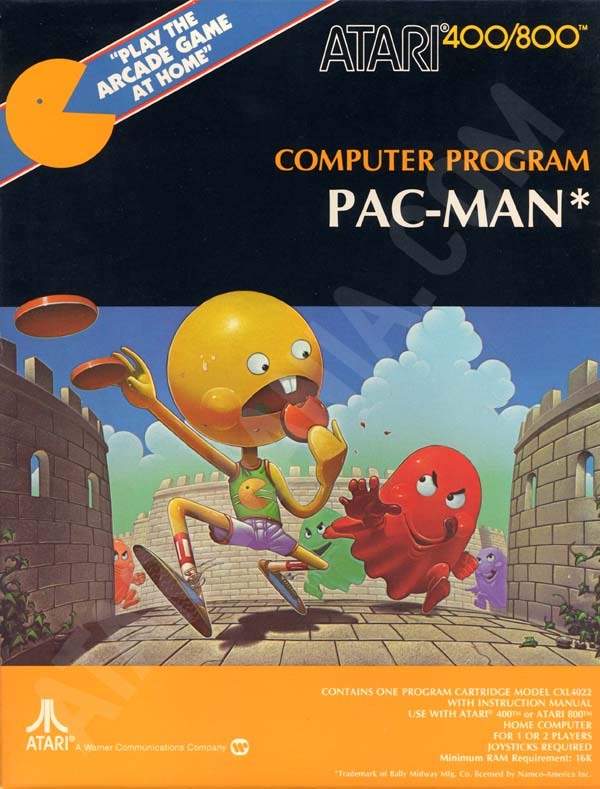 It was a bit frustrating that the awful 2600 version of Pac-Man got all the limelight, while the superior 5200 and 8-bit versions were hardly discussed! Not sure of the history behind the releases, but I had the earlier one, sans intermissions. Some of the, *ahem*, file versions that I got later did include them. Either they were the aforementioned 5200 ports, or updated editions. @Michael Allard; The Datasoft re-release (or at least the one on U.S. Gold's "Arcade Classics" compilation) does include the intermissions, possibly back-ported from the 5200 version. I personally enjoy this game. Along with the rest of my Atari 8-bit collection, this game shines in greatness. But this game and a couple others are outstanding. I have nothing bad or troubling to say about this game. 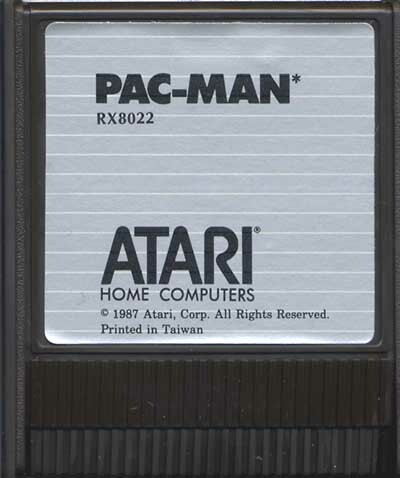 I had a 5200 long before I had an Atari home computer so that Pac-Man grew on me quickly. 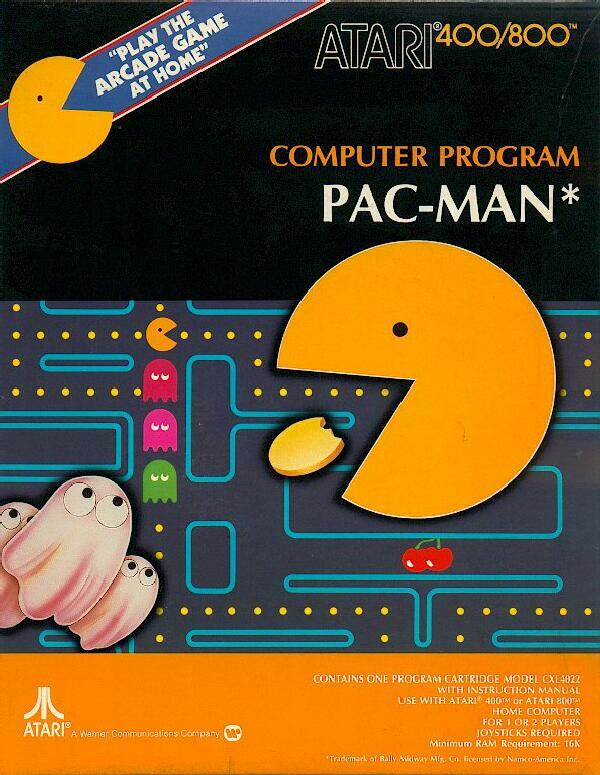 Then I received this Pac-Man not to long ago and at first I was sort of disappointed with the missing intermissions. 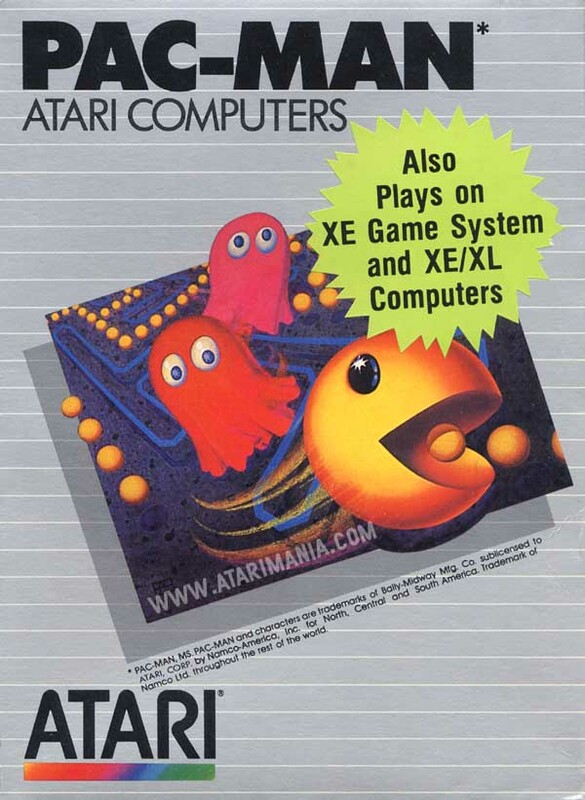 After a few times of playing it, and my XEGS dying on me, I began to have Pac-Man withdrawals. I love my 5200 but I like this Pac-Man a bit more. 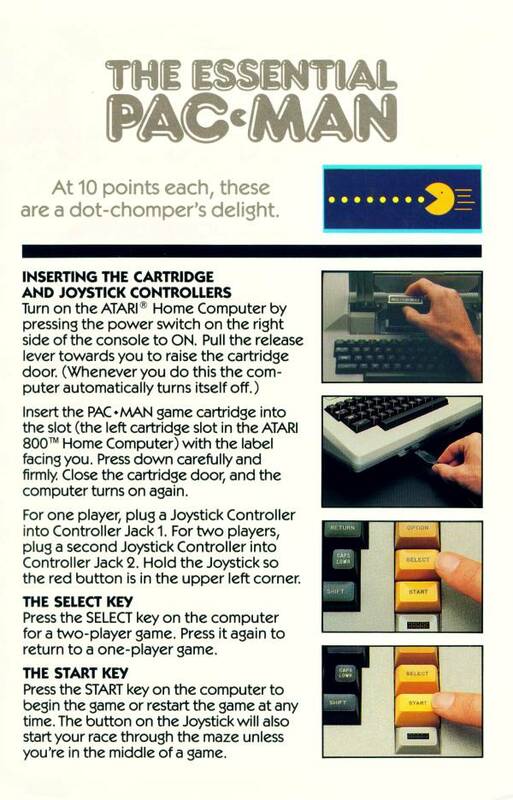 Not so much for the controls but more for the fact that this Pac-Man is more forgiving than the 5200 version. Great game. Intermissions would have been nice, though. Excellent game all time classic. 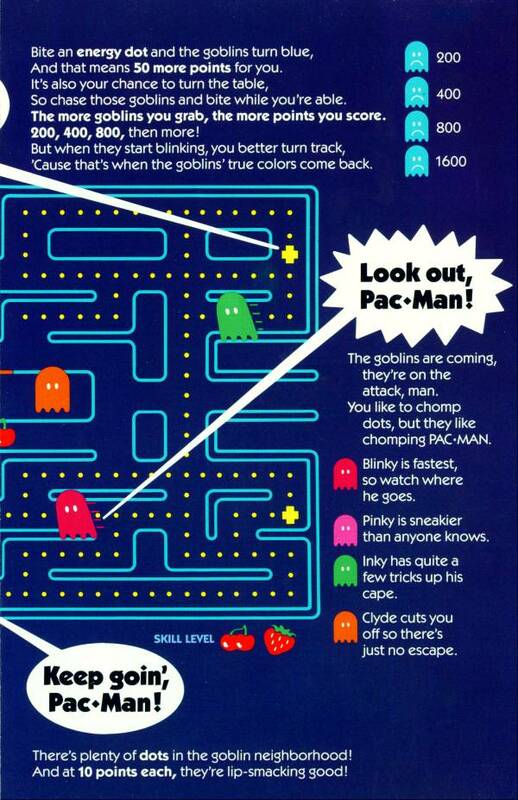 This version of Pacman is my all time favorite. The arcade version required me to memorize paterns to survive to the highest levels but this one I can play "freestyle" to a nice high score but still feel very challenged. 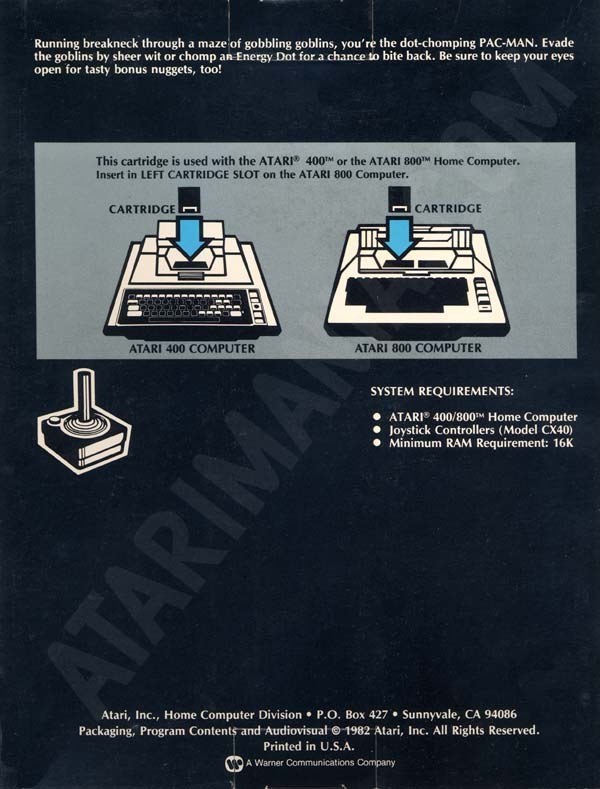 While it was a relief to finally get a version of the grand daddy of all video games on the Atari home computers, this version turned out to be a somewhat lackluster translation. The play mechanics largely remained intact, yet the graphics and sound had largely been drained of their personality. Gone were the ghosts' expressive eyes, the amusing interludes, and the full-bodied sound effects that filled so many arcades. 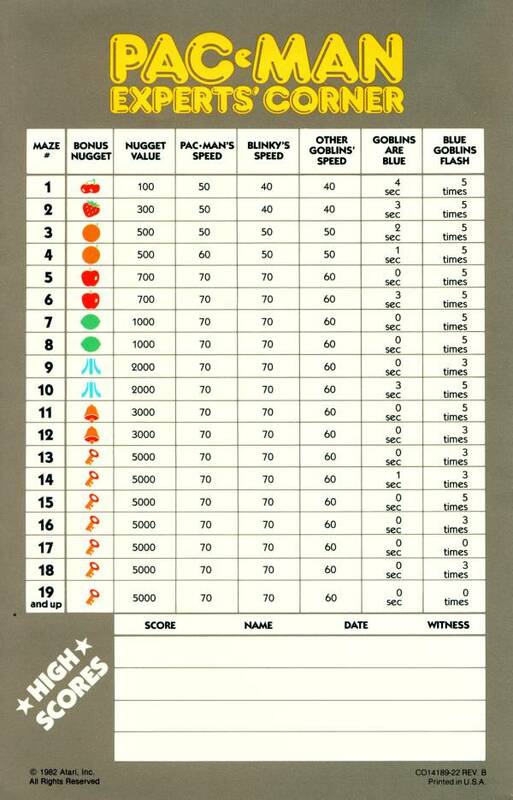 Not the best effort from Atari's stable of programmers, but satisfying nonetheless. 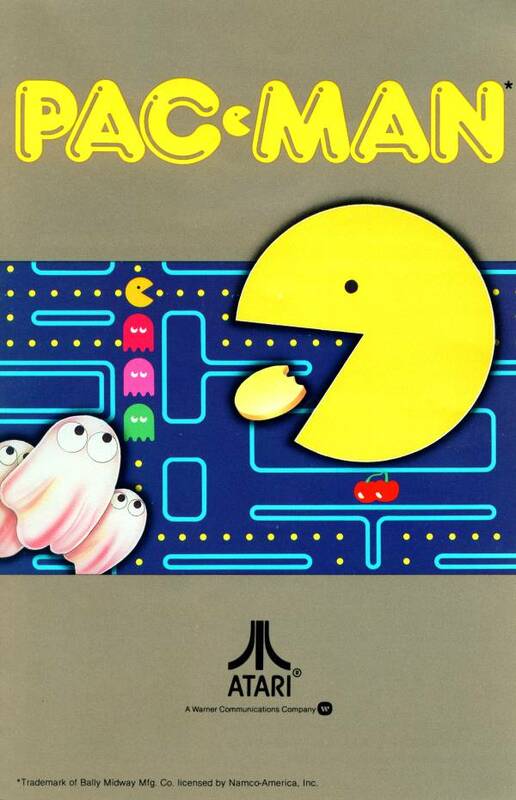 It's been said that the arcade version of Pacman is what brought women into the world of arcade games. It was true in my house when I brought this cart home and fired it up in my 8-bitter. 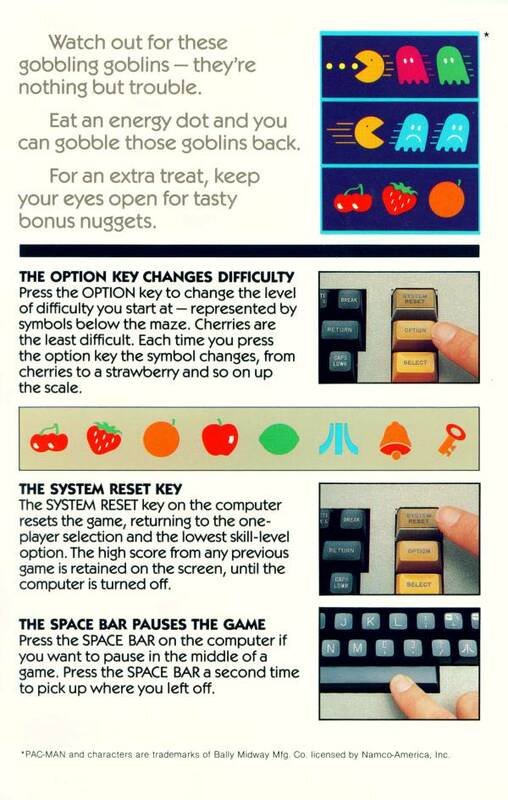 My wife grabbed my Atari joystick (don't get smart), and she had so much fun with this game. 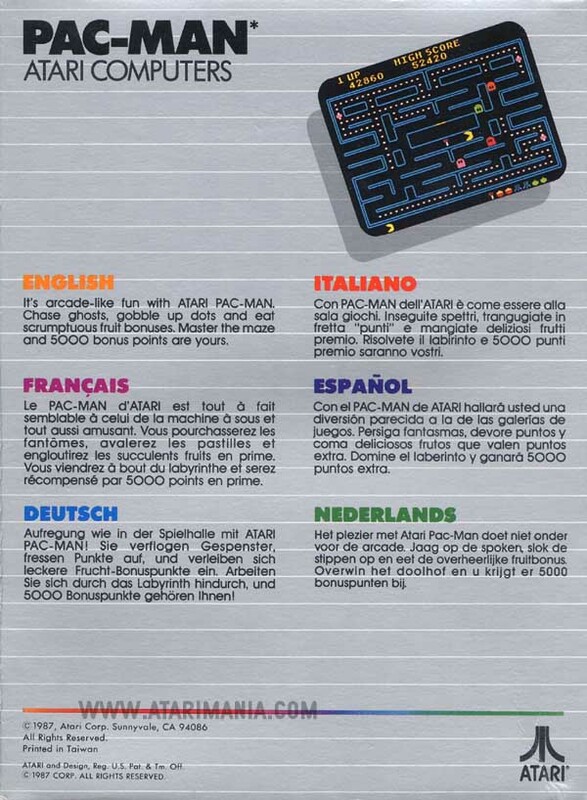 The Atari translation of the arcade ROM is great. Smooth graphics, fine sound, a game that still sells on cell phones near the top of the d/l list. Isn't that amazing for a game that is 25 years old. Like wine, this vintage only gets better with age. All the sequels had cutesy variations (PacmanJr., MSPacman, SuperPacman), but could not improve on the original. Several fine also rans were On-Line's Jawbreaker which was sued off the market, and Mousekattack, a wonderful little game. What is it about maze games that keeps us coming back for more? But the cartridge. It's always for sale on eBay at bargain prices. Are you thinking in vote less than 10???? are you stupid or something??? 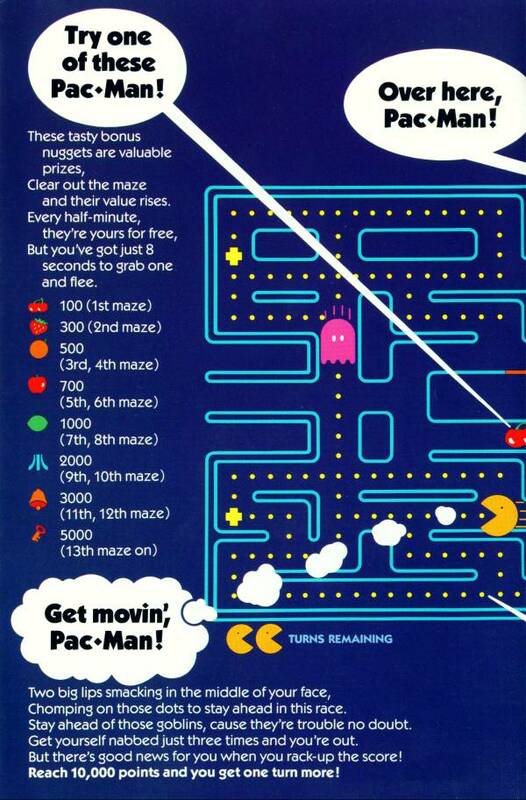 come on ITS PACMAN !!!!!!!!!!!! 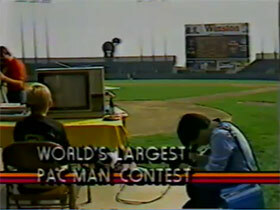 Groans of anguish, at least from some quarters, greeted the debut of the Atari VCS edition of Pac-Man. It seemed to be just a shadowy, flickering echo of the Taito/Midway blockbuster that has made the whole country goofy about gobble games.